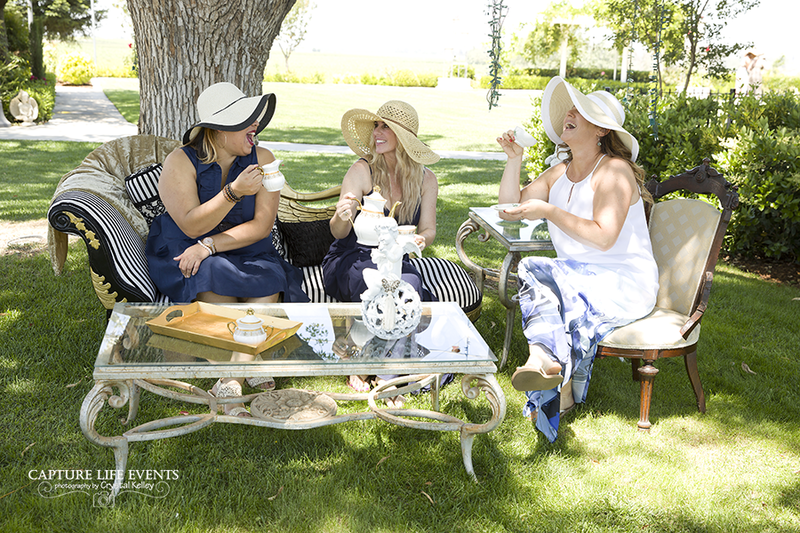 Tea Time Me Time: Relaxation By The River Women's Empowerment Event. 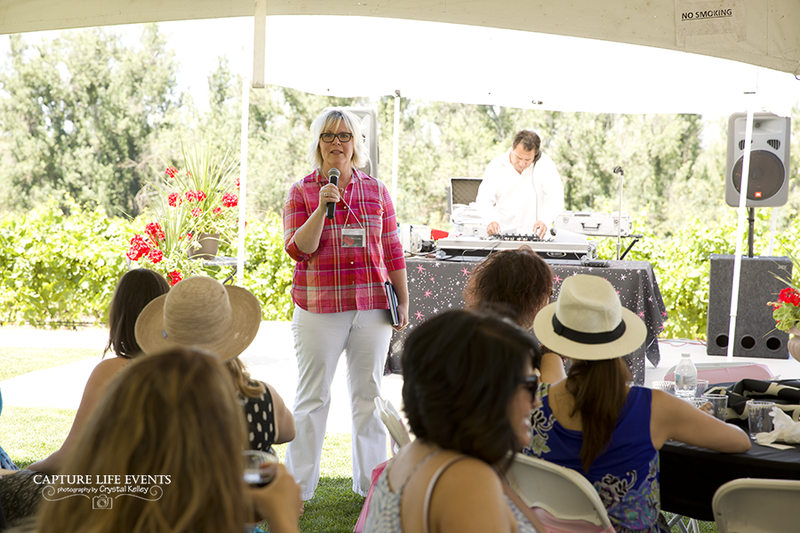 Each year we have 125-150 professional women join us at Rancho Playa Del Rio Vineyards for an afternoon of total relaxation. The event is the brainchild of Nathan Moore and Sylvia Trevino. In 2010, after experiencing his first cup of authentic loose-leaf tea, Nathan was hooked. During a meeting, he provided some tea for Sylvia to try. It was at this meeting that Sylvia mentioned she frequently enjoys hosting tea parties for her family and has been collecting ornate tea cups for years. At that moment, the idea was born. Tea Time Me Time: Relaxation By The River. The event is held at Rancho Playa Del Rio Vineyards. The property connects directly to the San Joaquin River. It boasts 360 degree views of vineyards in additional to amazing landscaping. In the first year, this event was designed to be a client appreciation event for the clients of AGAPE Planning Partners, INC. After the first year , we quickly realized that this was an event that many women needed to experience (primarily due to the requests of our clients wanting to invite their friends and family). In 2013 it was opened to the public. Why the name "Relaxation By The River"
Stereotypically speaking, men will make time in their busy schedules for "self-care". This may include golfing, fishing, hiking, or simply hanging out with their buddies. Women, on the other hand, often sacrifice their own sanity and well-being in an effort to take care of everyone else. This event was designed to give busy women 4 hours of uninterrupted sheer relaxation without anyone asking anything of them in return. Whether you take advantage of the massage chairs, sit back and listen to the encouraging speakers, shop the vendor area, walk through the vineyard and dip your toes in the water, find a lounge chair to chat with a friend, (or any of the other amenities) it’s all on their terms. This isn't a traditional tea party. While you still may see big hats and vibrant dresses, it is completely optional. We want you to be comfortable inside and out. You will see plenty of food to keep you full, beverages to keep you hydrated, entertainment to keep you smiling, and guest speakers to keep you thinking. By the way...tea pinkies are also optional. interested in being a sponsor??? INterested in being a Vendor??? Nathaniel L Moore is a Registered Principal with, and securities and advisory services offered through LPL Financial, a Registered Investment Advisor, Member FINRA/SIPC.